Chocolate cupcakes made with Coca-Cola, filled with cherries, topped with a Coca-Cola glaze, whipped cream frosting and cherry on top! Nothing says fun quite like turning one of your favorite drinks into cupcakes. 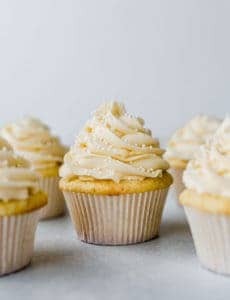 In the past, I’ve introduced you to Limoncello Cupcakes and Margarita Cupcakes; this time I left the alcohol behind and created a cupcake tribute to one of my favorite bubbly drinks as a kid. My parents didn’t routinely keep sweets or pop in the house while we were growing up, so we really only got them when it was a special occasion (birthday party/sleepover) or we were eating away from home. I always remember getting a Cherry Coke when we’d find ourselves at Eat n’ Park grabbing dinner. I don’t know why I associate my Cherry Coke consumption with that particular restaurant, but I don’t remember having it anywhere else. Needless to say, when I saw this rendition of a childhood favorite in cupcake form I knew they needed to grace my kitchen. 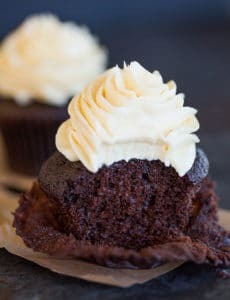 This recipe begins with a chocolate-cola cake, is filled with cherry pie filling, topped with a sugar-cola glaze, then finally topped off with my favorite whipped cream frosting for cupcakes, and a maraschino cherry, of course. What’s a float without some whipped cream and a cherry?! Although there are multiple components, these cupcakes come together relatively quickly. The combination of chocolate, the faint Coke flavor, the cherry filling, and the whipped cream on top is a sensational combination of flavors and textures. These would be a fun cupcake option for someone who is a fan of black forest cake. Although it’s not traditional, it’s definitely a modern twist on the chocolate/cherry combination. I also think that these cupcakes would be great for summer picnics, much like the Root Beer Float Cake that I made many moons ago. If chocolate-covered cherries are your jam, or you love cherry-flavored cola, add these to your baking list ASAP! 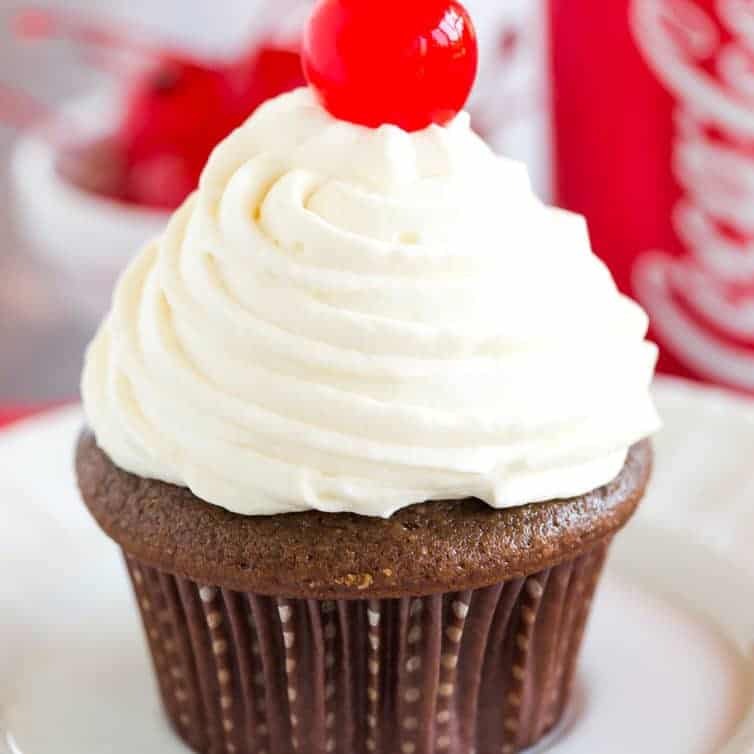 Chocolate cupcakes made with Coca-Cola, filled with cherries, topped with a Coca-Cola glaze, a whipped cream frosting and cherry on top! Make the Cupcakes: Preheat the oven to 350 degrees F and line a standard muffin pan with paper liners; set aside. Sift together flour, cocoa powder, baking soda, and salt in a small bowl and set aside. Beginning with the flour mixture, add in 4 parts to the butter mixture, alternating with three parts of the Coke mixture. Beat each addition just until incorporated. Give the final mixture a good mix with a rubber spatula to make sure it is thoroughly combined. Divide the batter evenly between the muffins cups. Bake for 18-20 minutes, or until the tops spring back when touched lightly and a toothpick inserted in the center cupcake comes out clean. Cool for 5 minutes in the pan and then transfer to a wire rack to cool completely. Fill the Cupcakes: Once cooled, use a paring knife to cut out a cone shape in the middle of each cupcake. Add a spoonful of cherry mixture (2 to 3 cherries) to the well. Glaze the Cupcakes: In a small bowl whisk together the powdered sugar and coke. Let sit 5 to 10 minutes to thicken. It should drip off of a soon very slowly. Using a small offset spatula, drizzle a little of the glaze onto the middle of each cupcake and then gently spread it over the top. 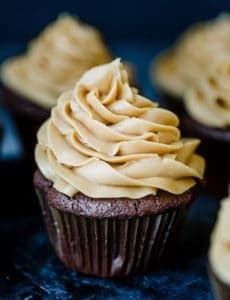 Frost the Cupcakes: On medium speed, beat the cream cheese, sugar and vanilla extract in a mixer with the whisk attachment until smooth and completely combined, about 3 minutes. Slowly add the heavy cream, scrape the sides of the bowl, then increase speed to medium-high and whip until stiff peaks form. 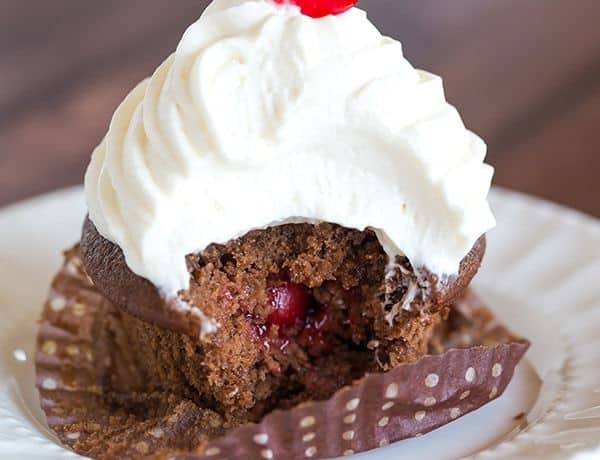 Pipe the whipped cream onto cupcakes as desired and top with maraschino cherries to garnish. 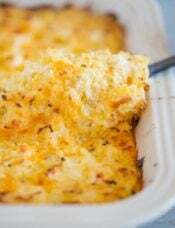 Serve immediately, or store in an airtight container in the refrigerator for up to 3 days. 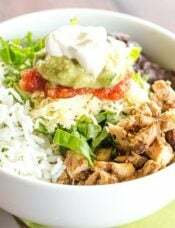 This recipe was originally published on January 25, 2012. I just made these cupcakes yesterday. The only changes I made were homemade cherry pie filling and no maraschino cherry. I loved these cupcakes! The cake was super delicious and I loved the light a fluffy icing! I will be making these again. This is the second cupcake I have made from your blog and you are becoming one of my favorites! I can’t wait to make more of your recipes. I made these cupcakes for my Step-daughters birthday when the original recipe came out, gosh in 2012. 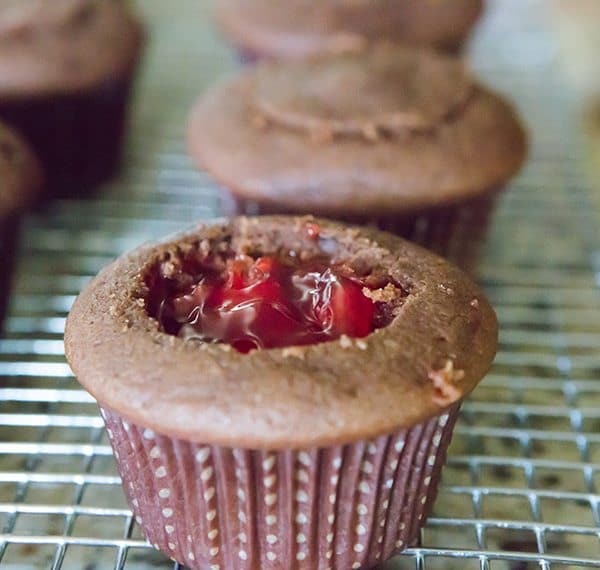 They are a wonderful, moist cupcake and I love the cherry filling. It takes some time to make them, but definitely a keeper. 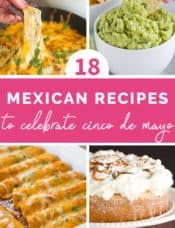 Love that you re-posted this recipe. This looks so good. 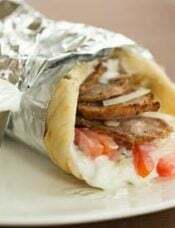 Yummy, I wish I could have some right now. 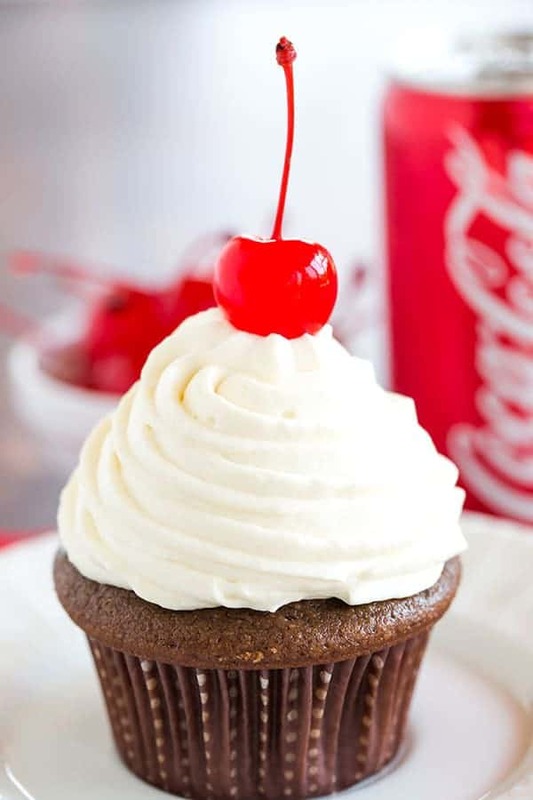 Cherry Coke Float Cupcakes… Mmmm….! I haven’t seen a cupcake look so yummy-‘Licious! Is there a reason I am no longer getting you email or many days I don’t? Hi Linda, There seem to be hiccups with the list, as the email is delayed, meaning the next day’s email includes two days’ worth. It’s happening to me, too. I’m working on getting it corrected. I’d love to make these beautiful cupcakes for my daughter’s birthday. Do you know how the whipped cream topping does sitting out? They’d be inside, but at a dessert table for about 2 hours… Do you think they’d hold up? Hi Claudia, If they’ll be inside for 2 hours, they should be just fine. Enjoy! I made these for a Superbowl Party last month. It was crazy how many compliments I received! I made these for my son’s first birthday (which was 2 years ago). I just thought to leave a comment because I was here looking for ideas for his third birthday :) These cupcakes came out beautifully and they were an absolute hit. People still ask me to make them. My son had a great time smashing his cupcake and stuffing his face with chocolate, whipped cream, and cherries. this recipe did not live up to any of the standards of the pictures. The cake part was great but the frosting and glaze were complete fails. Nothing was like the instructions or like the pictures. Will not be outing this in my recipe book. Late into last night and all this morning, I took a stab at recreating 3 different cupcake recipes of yours (including this one, the vanilla with vanilla buttercream one, and the Dutch chocolate, ganache-filled, chocolate buttercream one) for a fun birthday gathering today, and all got RAVE reviews! I was even asked if I purchased them at a very talented, local cupcake boutique!!! I can’t decide which is my favorite. They are all so decadent and very memorable on the tongue (and just so you know, as my husband, 2-year old, and I were taste-testing the chocolate ganache and the chocolate buttercream frosting for the chocolate cupcakes, my husband said in all earnestness “I seriously don’t think I’ve tasted anything so good”…while the 2-year old just kept begging for more). And the Cherry Coke cakes are super fun (and moist!). I just had one after eating all day, and it was still so worth it! I think my guests and I gained significant weight with smiles today! I made the cupcakes tonight, they were beautiful and domed until they started to cool then they sunk! I checked them with a toothpick before taking them out and it came out clean so I don’t know what went wrong. Anyway, do you think I should just put the filling in the “dent” where they sunk in and not bother with cutting out a cone in the middle? Hi April, You could do that, or cut out a little. It’s hard to say, not knowing how deeply they sank. WTF is an Irish Car Bomb cake? Do you also have an Oklahoma Bombing Brownie and a Twin Towers Cupcake, or is it not so ‘fun’ when it’s Americans being killed? Hi there! Firstly I have to say I absolutely love your blog, I’ve tried other recipes and the peanut butter banana bread was a hit! Now my problem is that I live in India and sometimes the required ingredients in your recipes aren’t available here. Can you tell me a way to make the cherry pie filling at home? 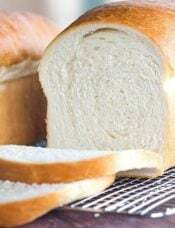 There are different recipes available on the net but I thought it would be best if I asked you. These look delicious and so fun! Love the surprise in the middle. If only I weren’t allergic to cherries =/. But they still look fun to make for a 4th of July party. I made these two days ago, and they were AMAZING!!! I just ate the last one haha. It took twice the time to bake the cupcakes but I think it is because of the altitud here in Mexico, or maybe the oven. I´m trying more of your recipies definitley!!! Congrats! Made these today. BLESS YOU!! They are so delicious. I used Cherry Coke instead of regular. I had to increase the cooking time at least 2-4 minutes for some reason (obviously all ovens are different). I recommend that everyone do the toothpick test before deciding they are done. The frosting is light and creamy. These are worth the extra effort. Love!! Hi! Will it be possible to change cherry with other type of fruit, say Mangoes? If you’d like it, certainly. I want to make these for a picnic this weekend. 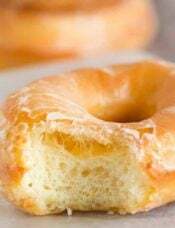 Do you how the icing holds up if they are not refrigerated for a little while? Hi Jennifer, Since it’s a fresh whipped cream frosting, I probably would not leave these out in extreme heat for a long period of time. I love this site and all informations. It´s beautiful and the pictures inspire me :-). Congratulations!